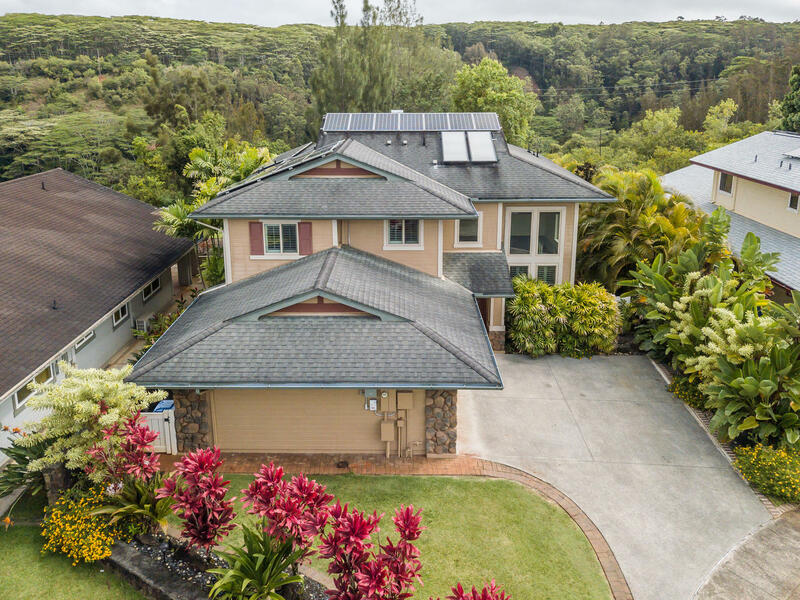 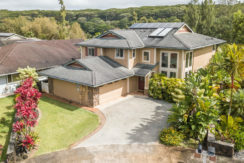 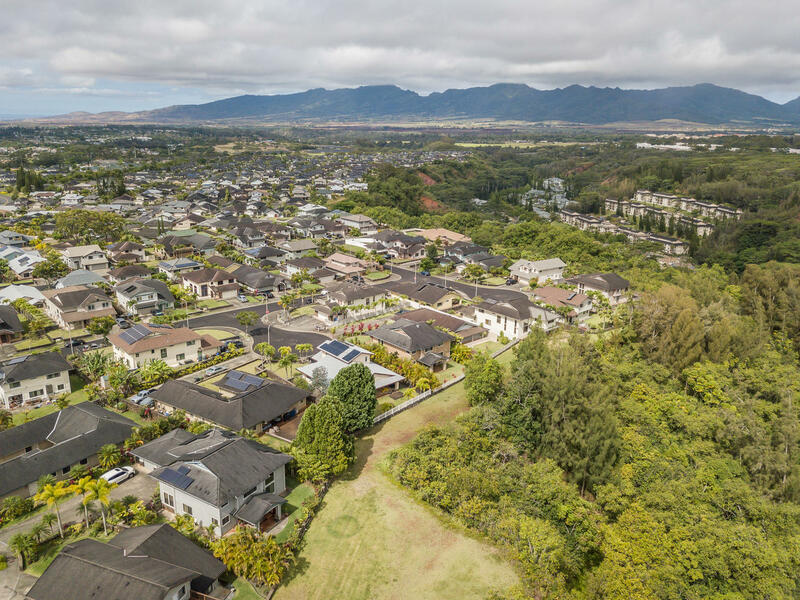 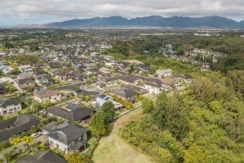 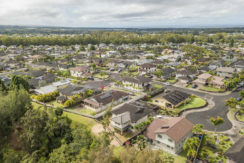 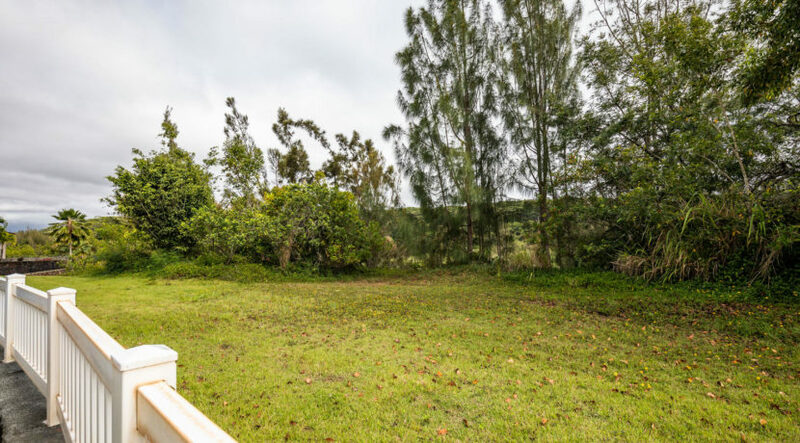 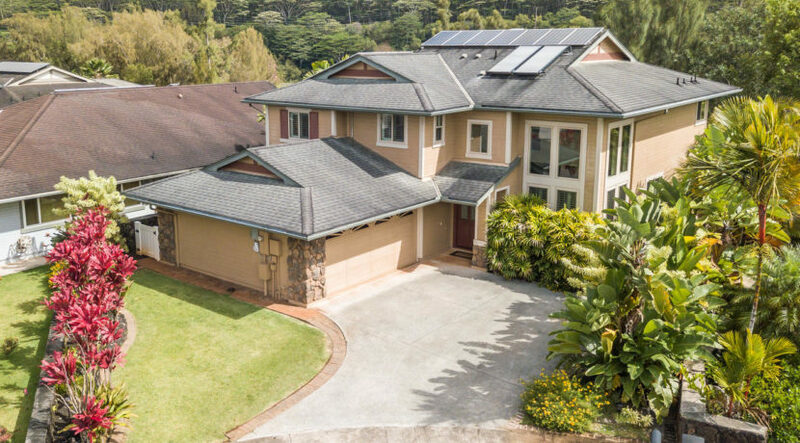 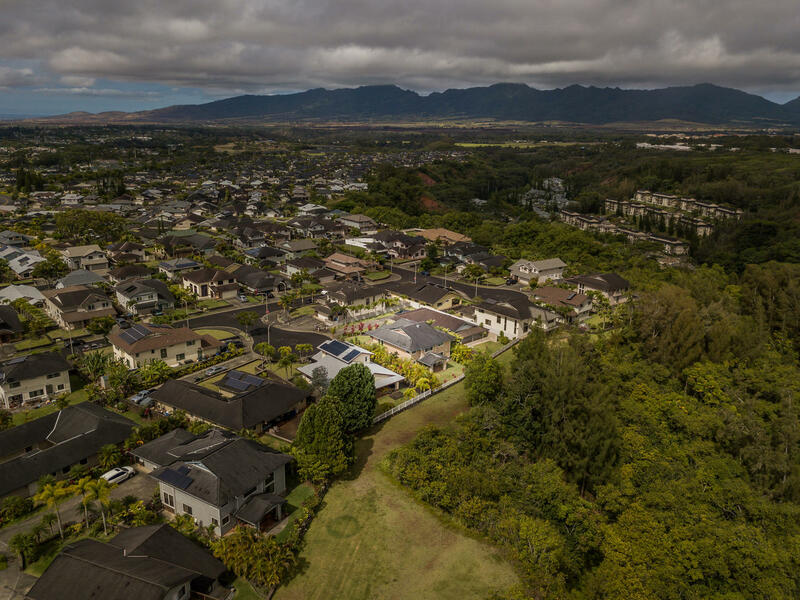 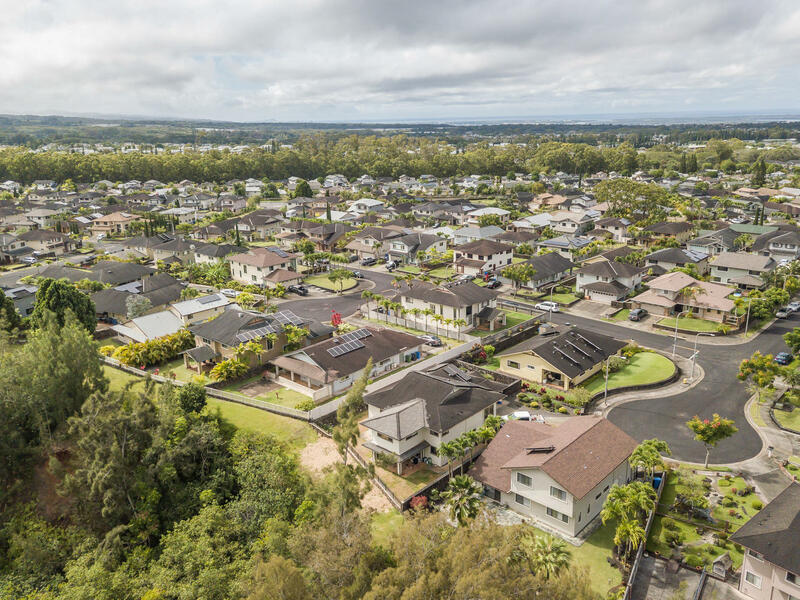 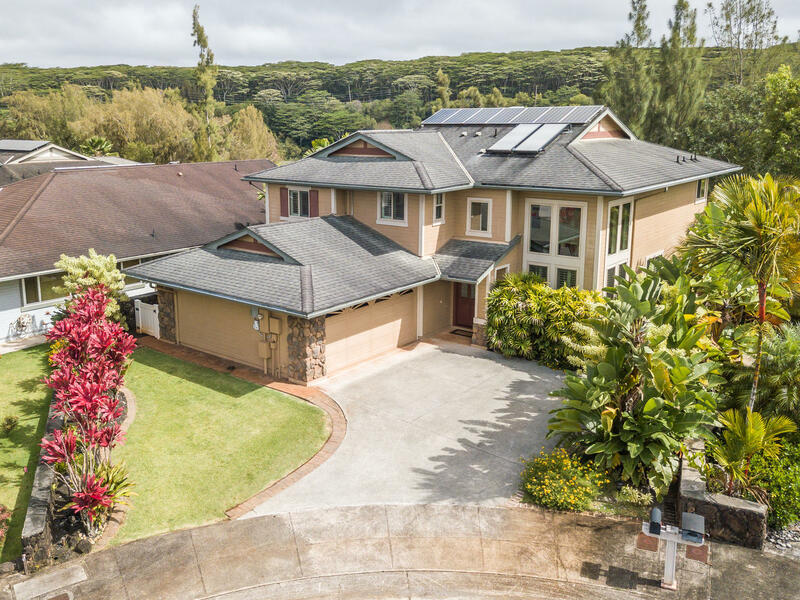 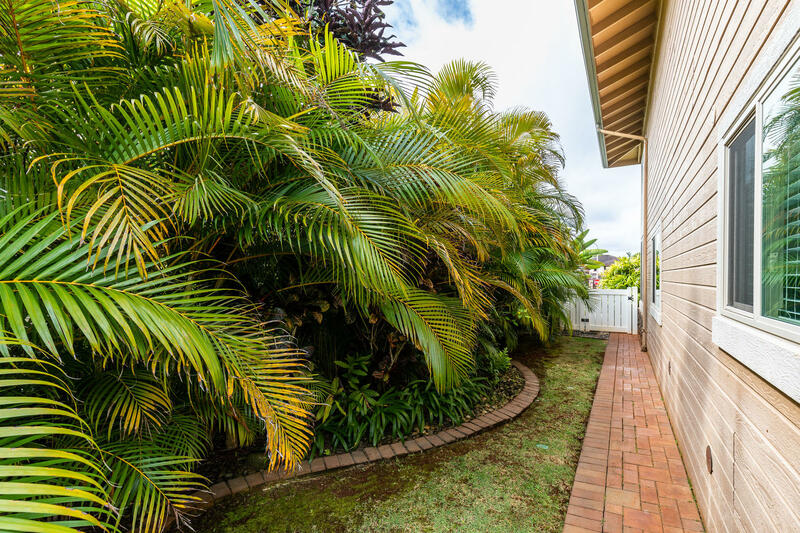 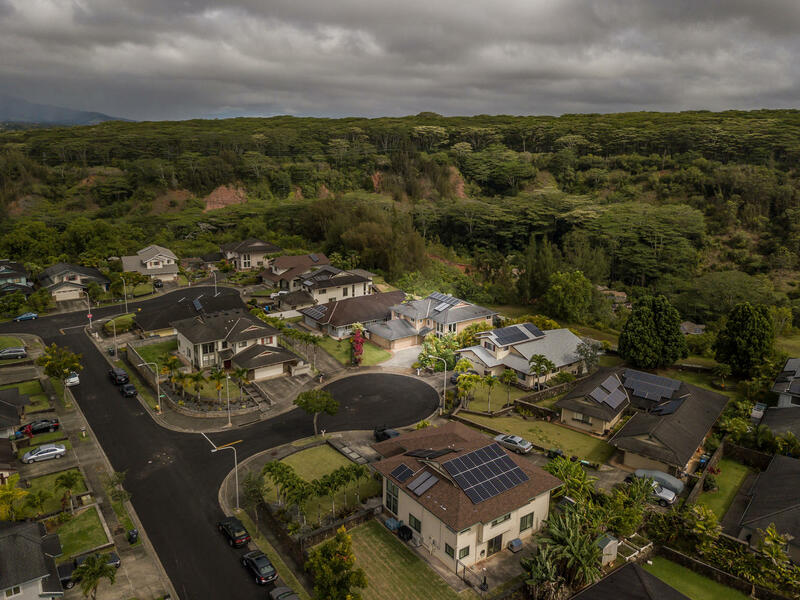 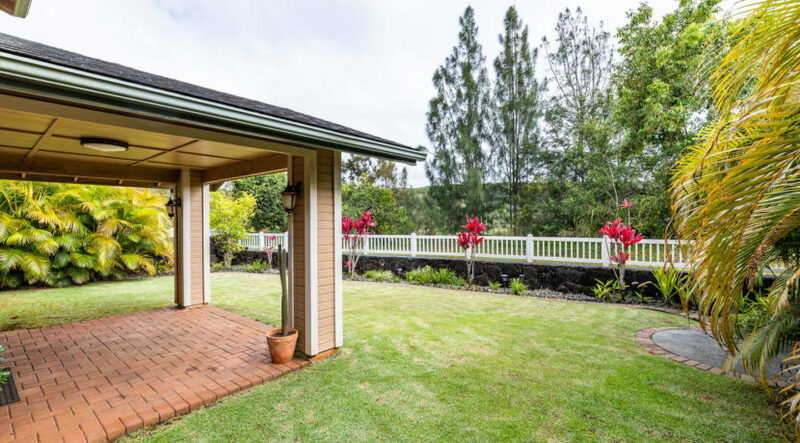 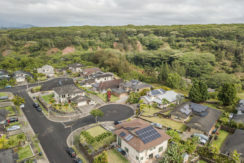 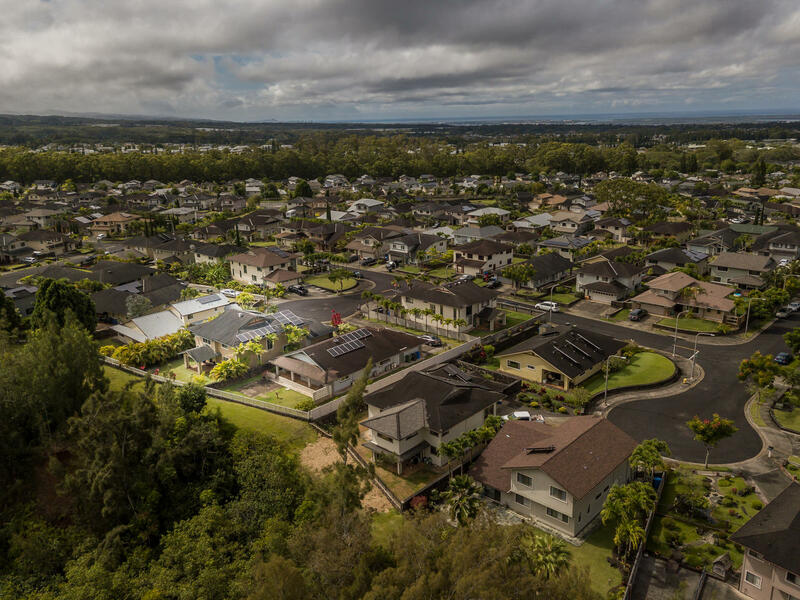 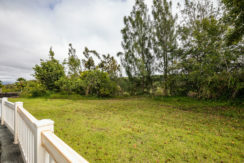 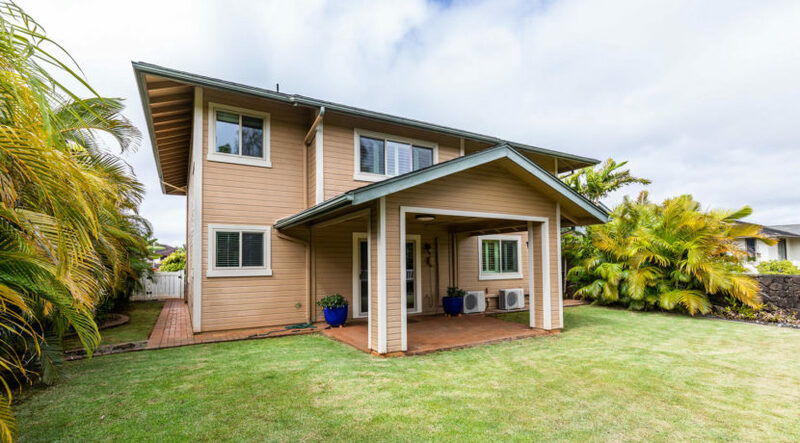 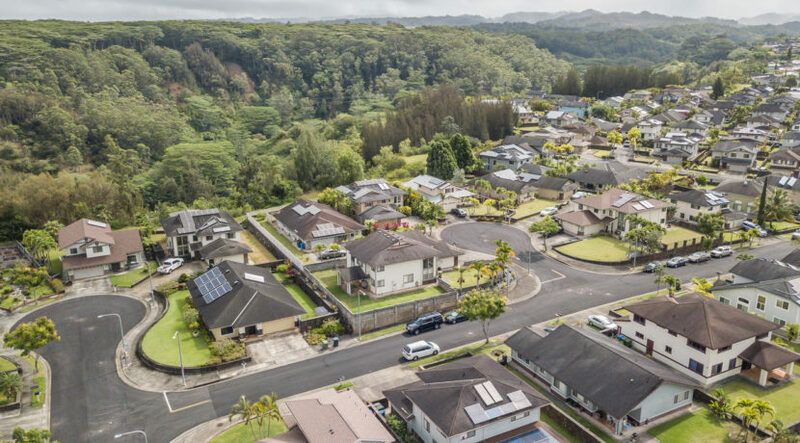 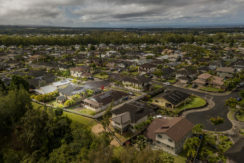 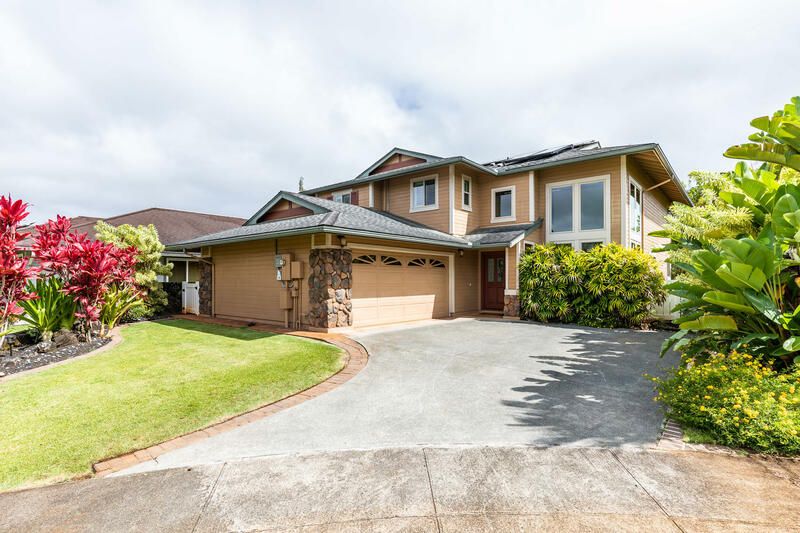 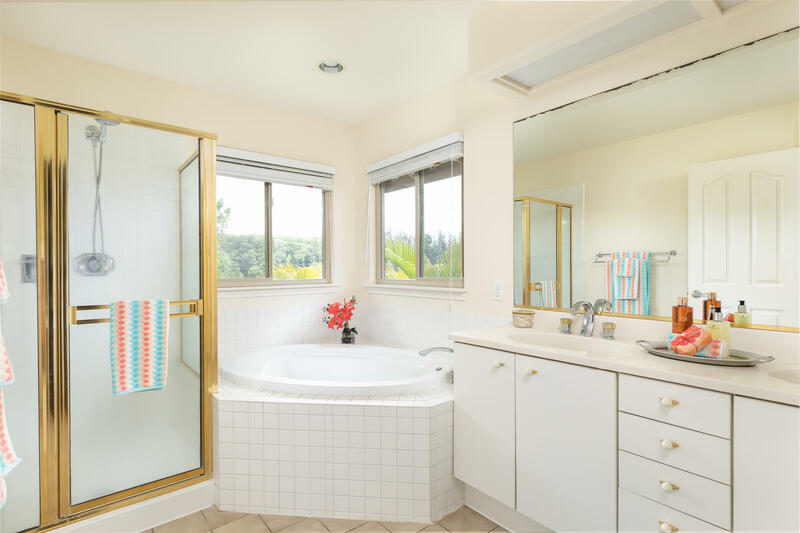 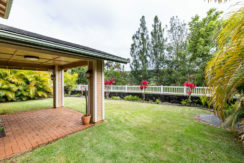 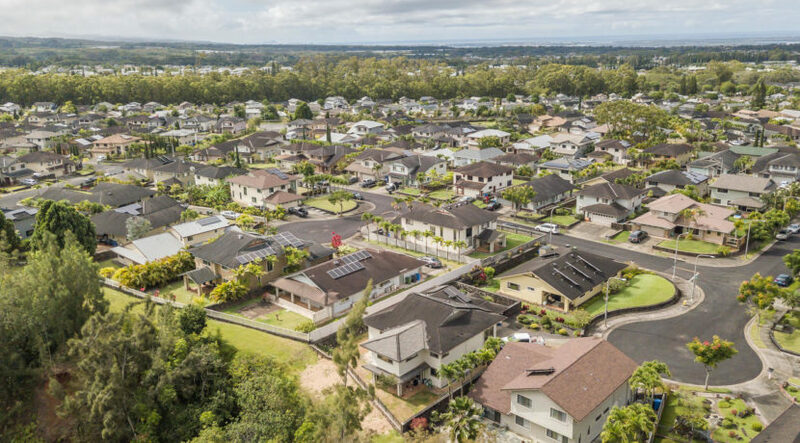 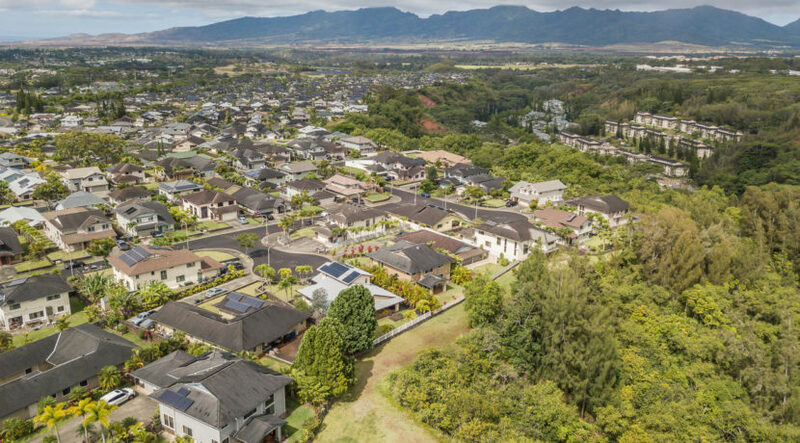 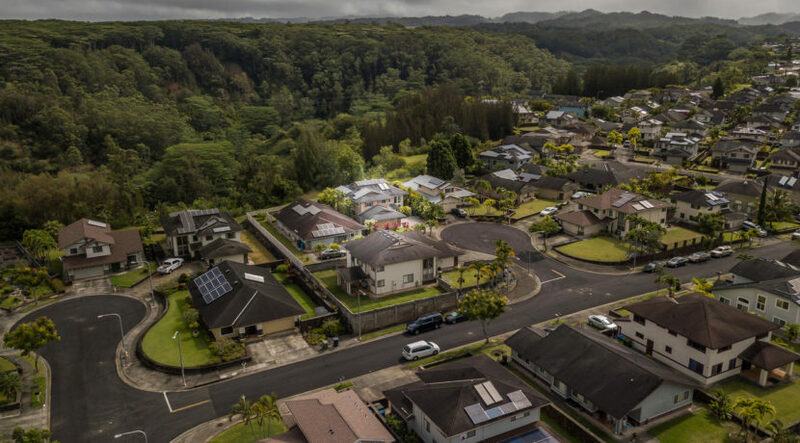 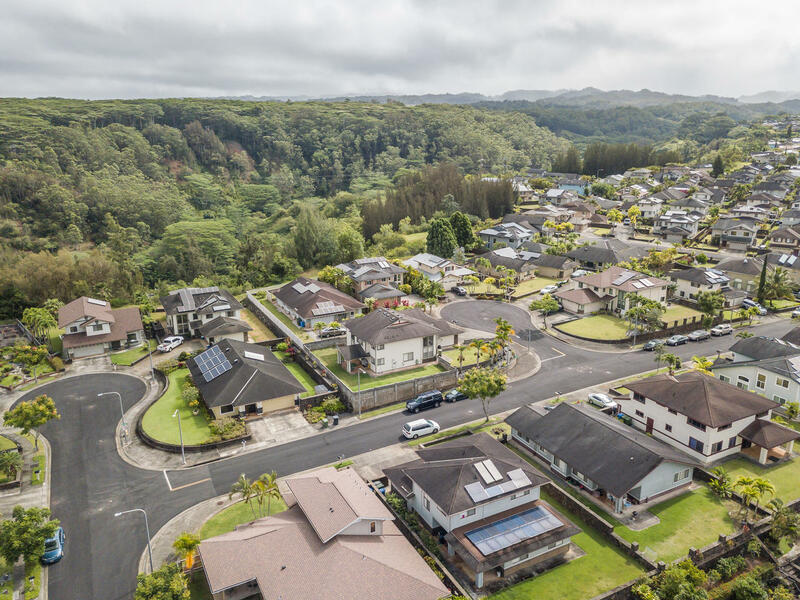 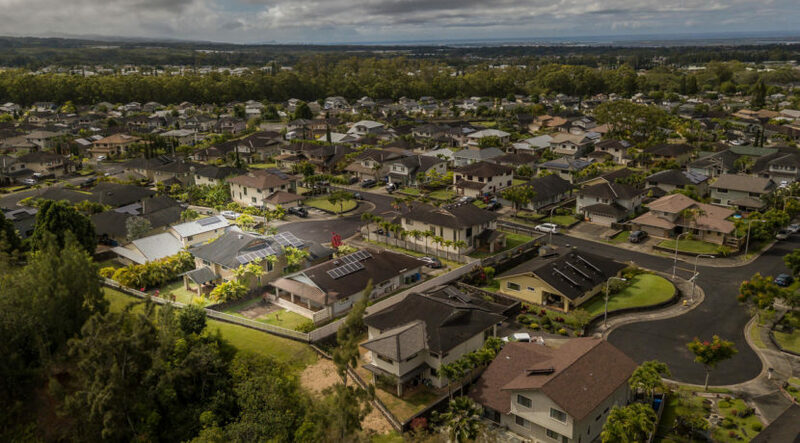 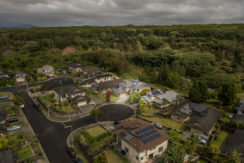 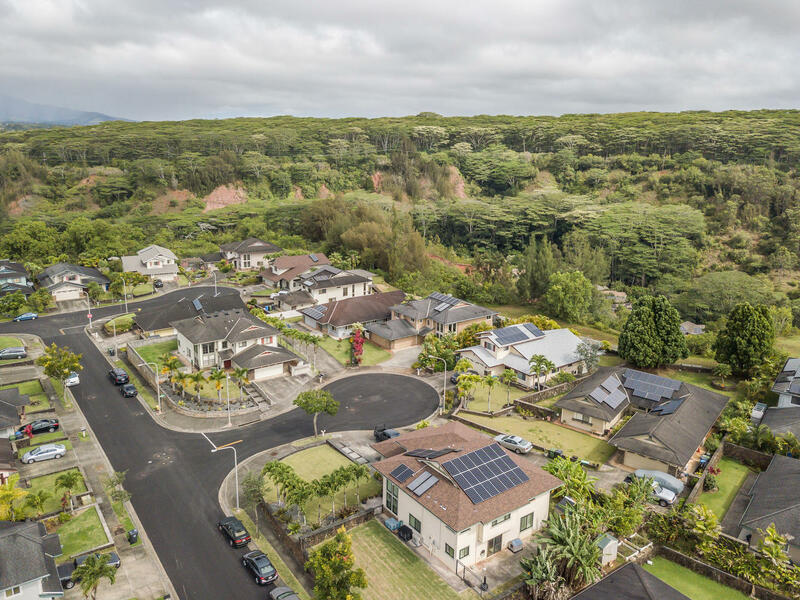 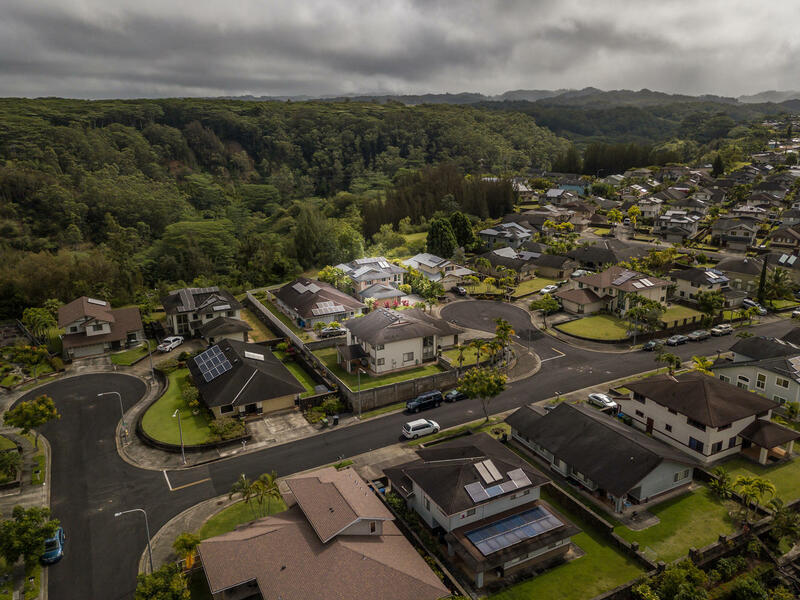 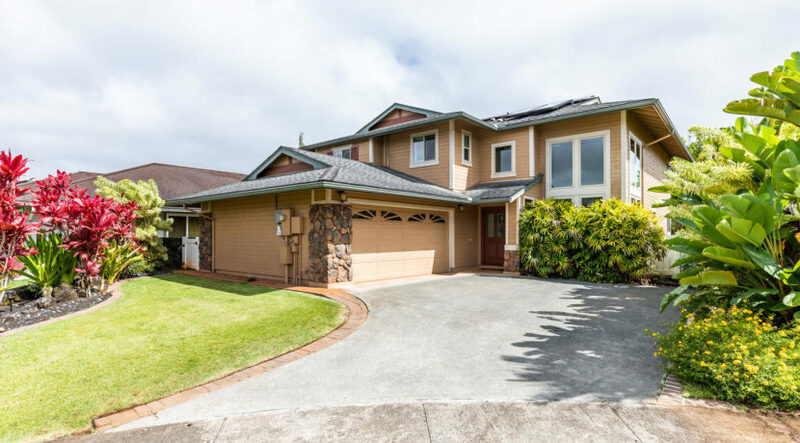 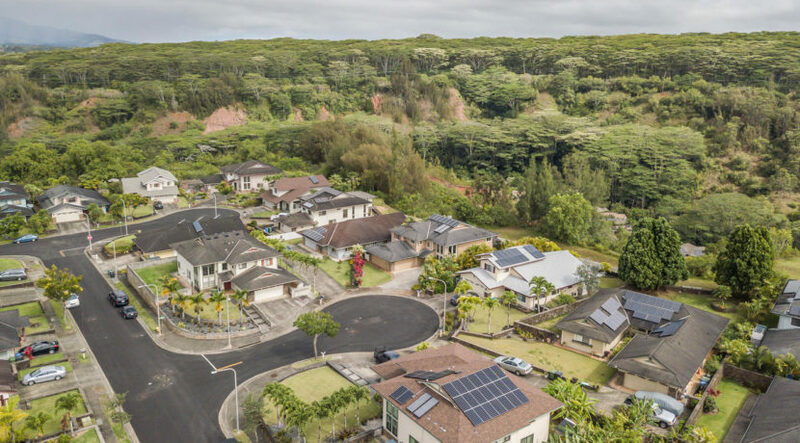 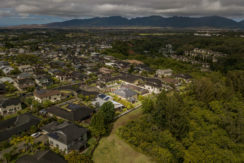 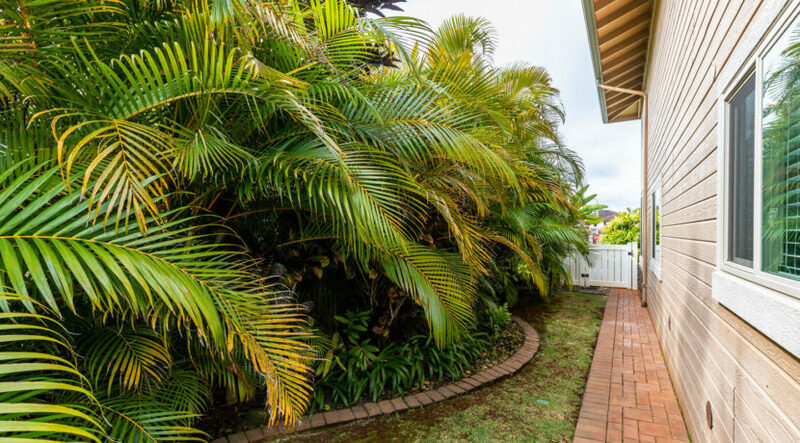 Welcome home to this stunning 5 bedroom, 3 bathroom Pacific Heritage perimeter lot home located in the highly desired Mililani Mauka community. 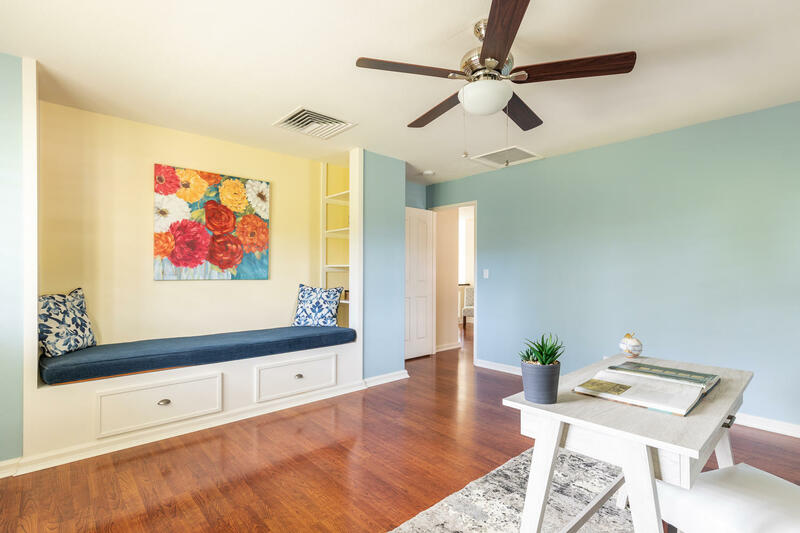 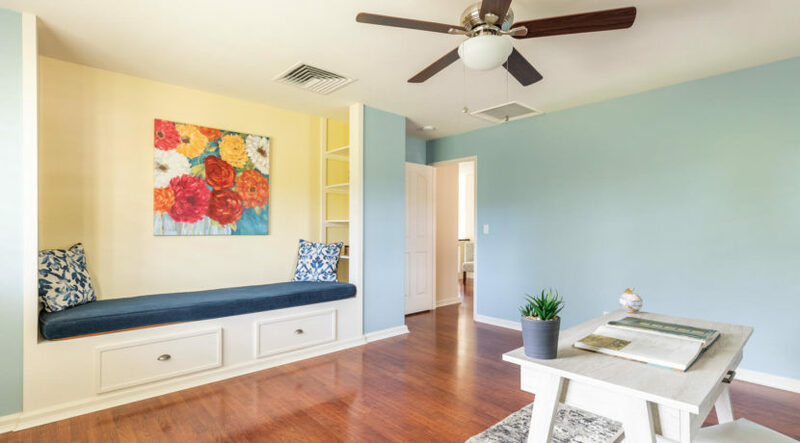 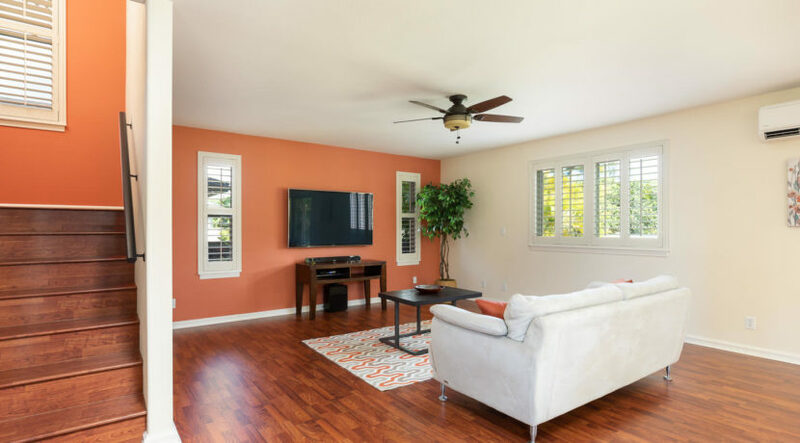 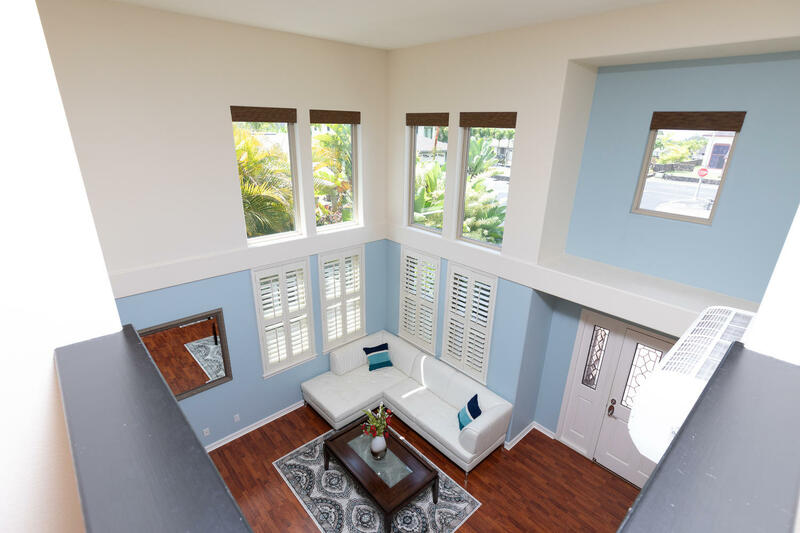 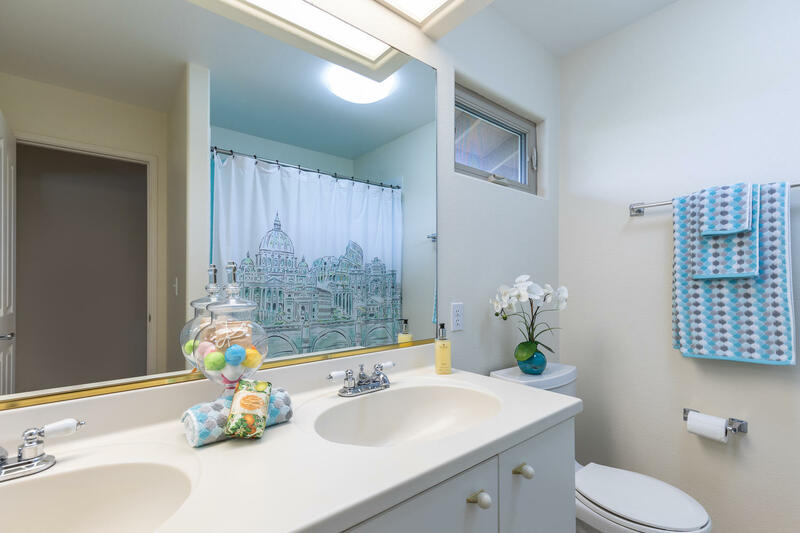 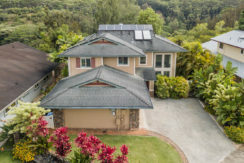 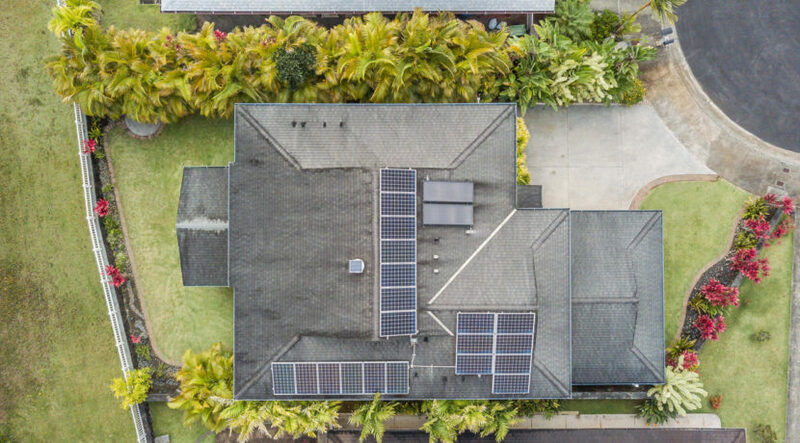 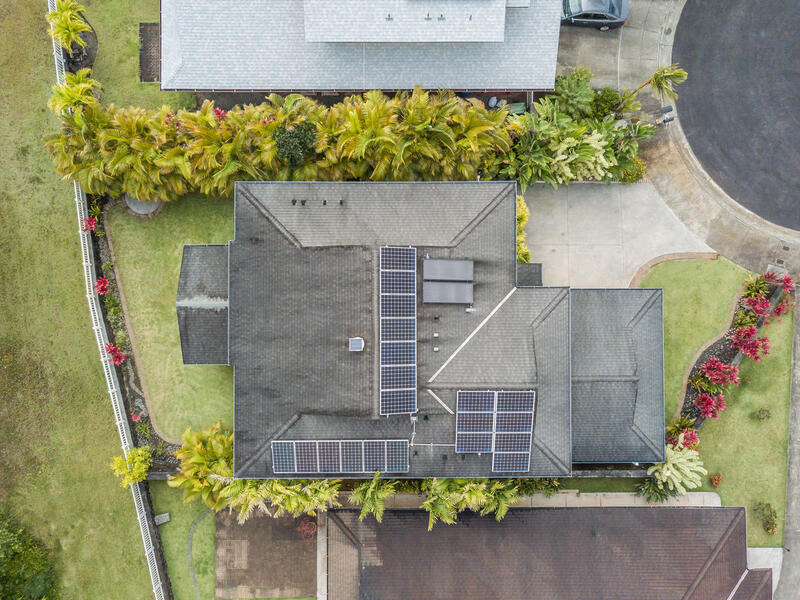 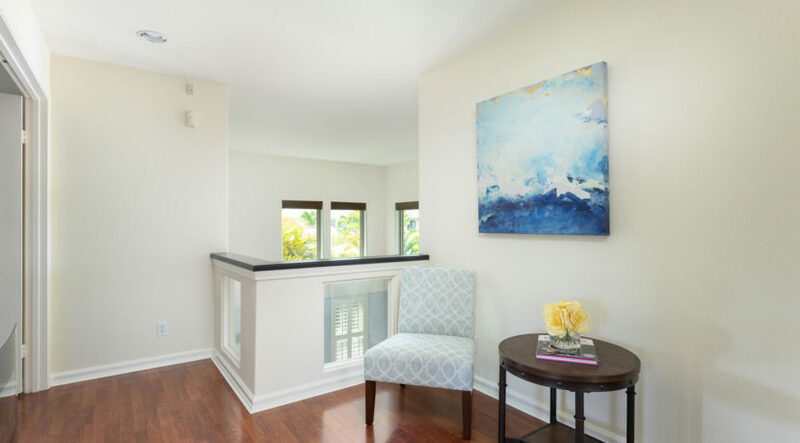 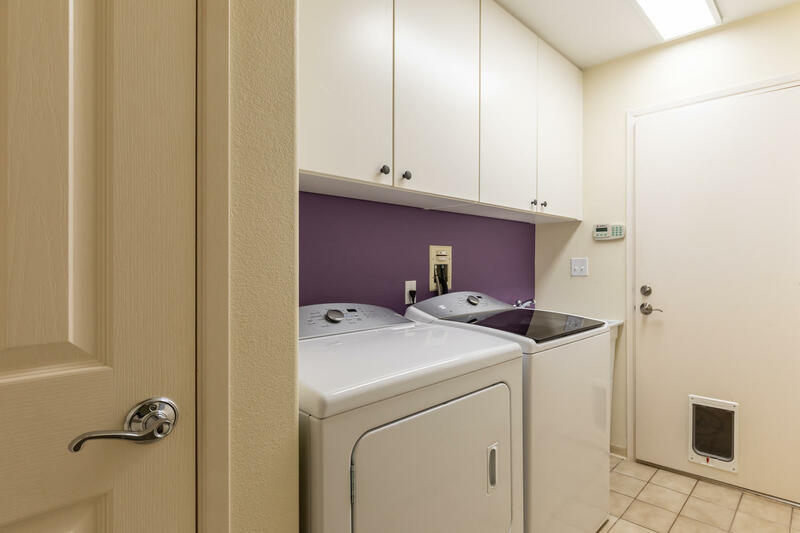 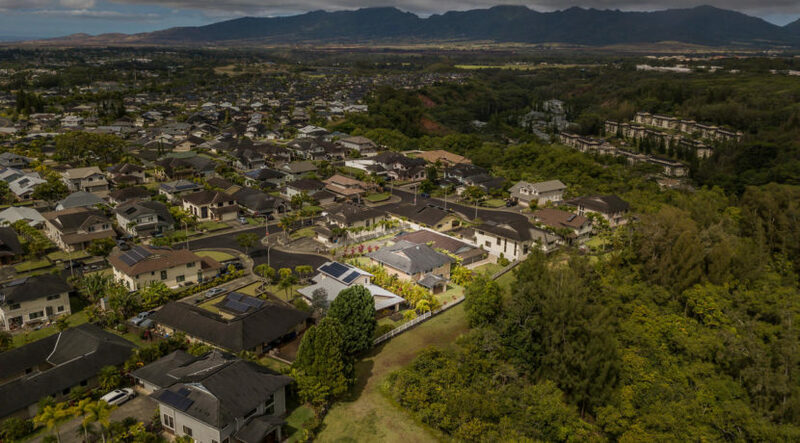 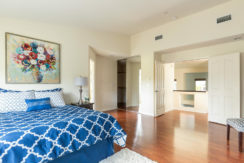 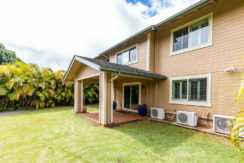 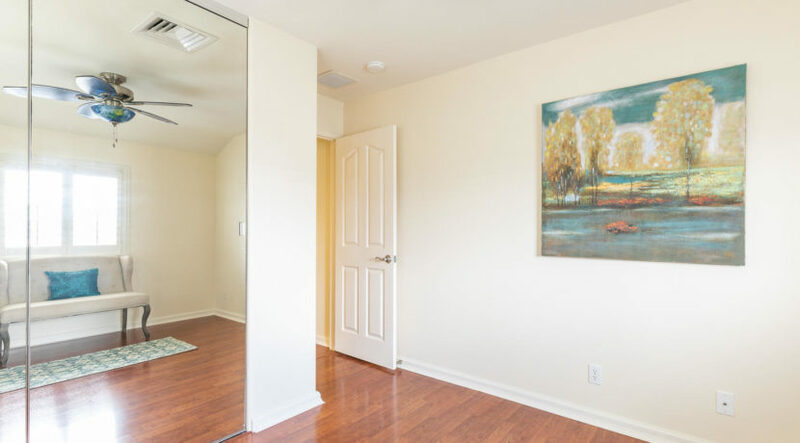 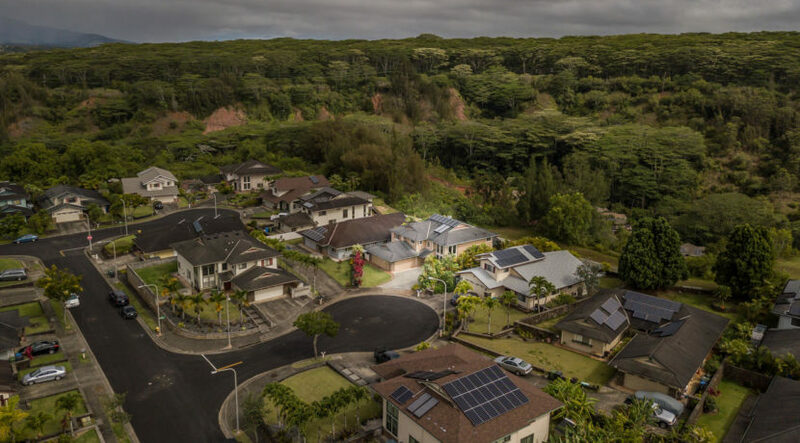 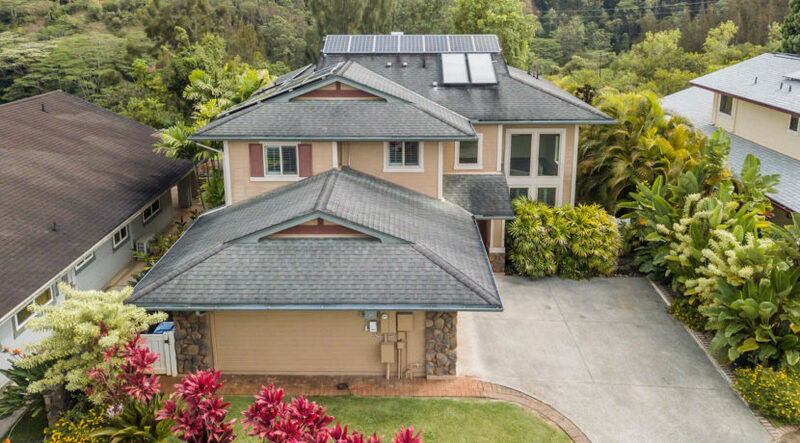 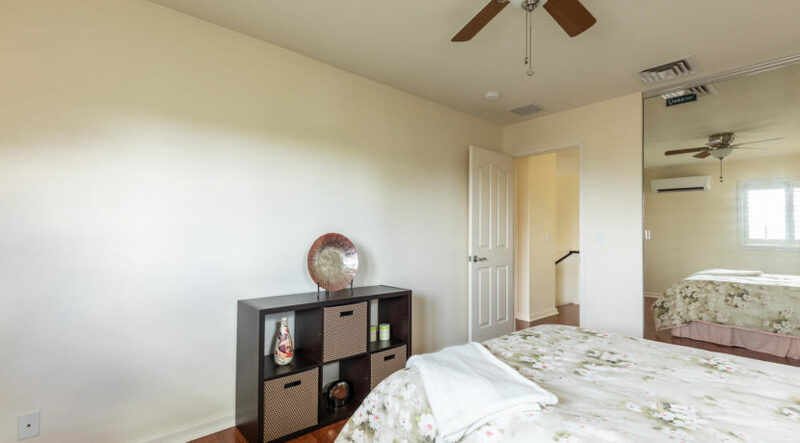 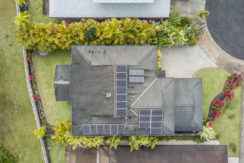 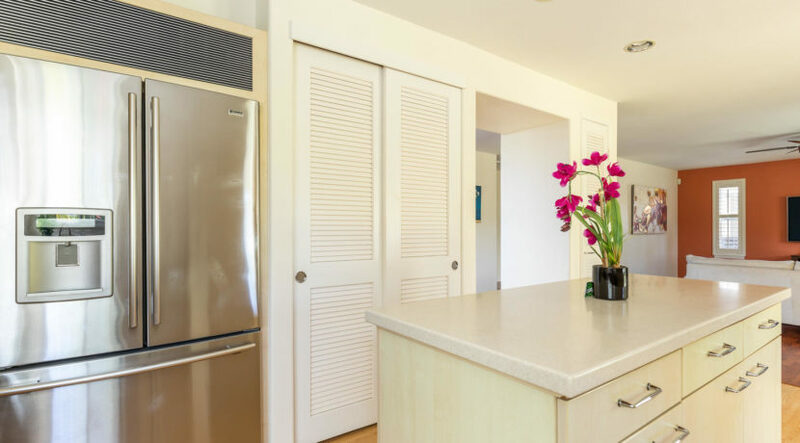 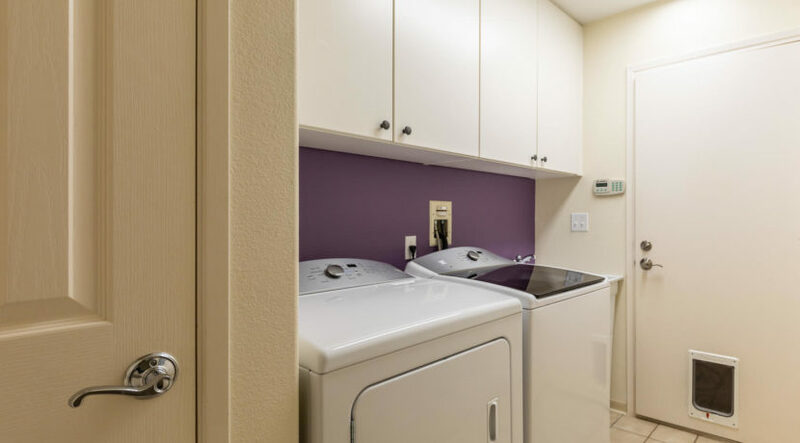 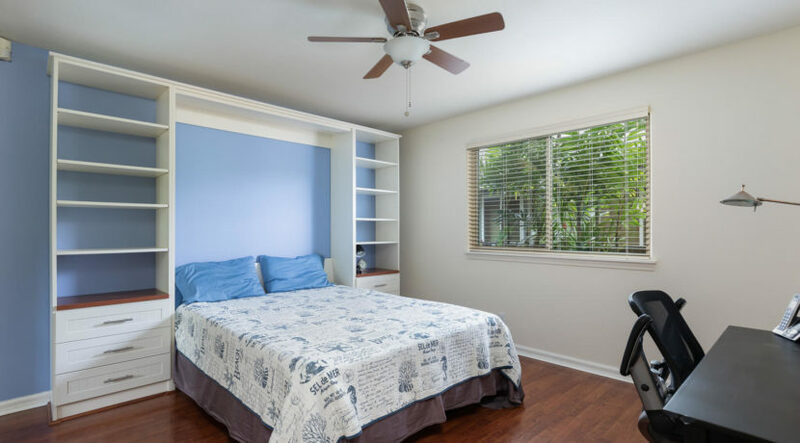 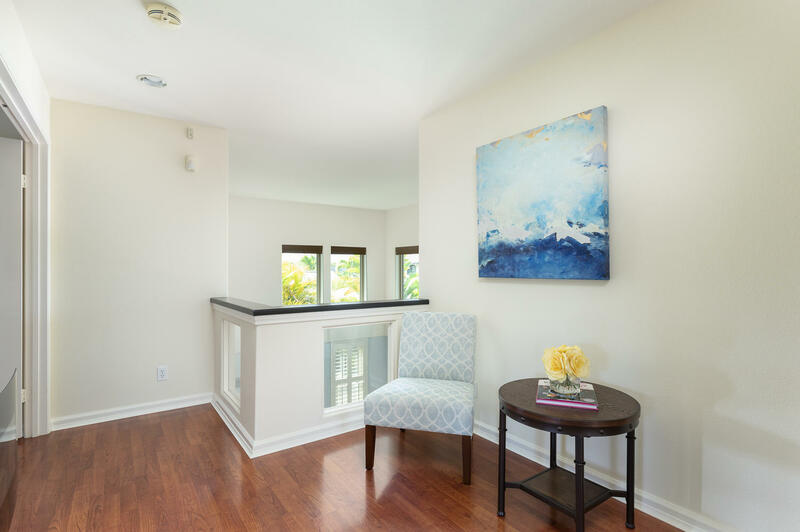 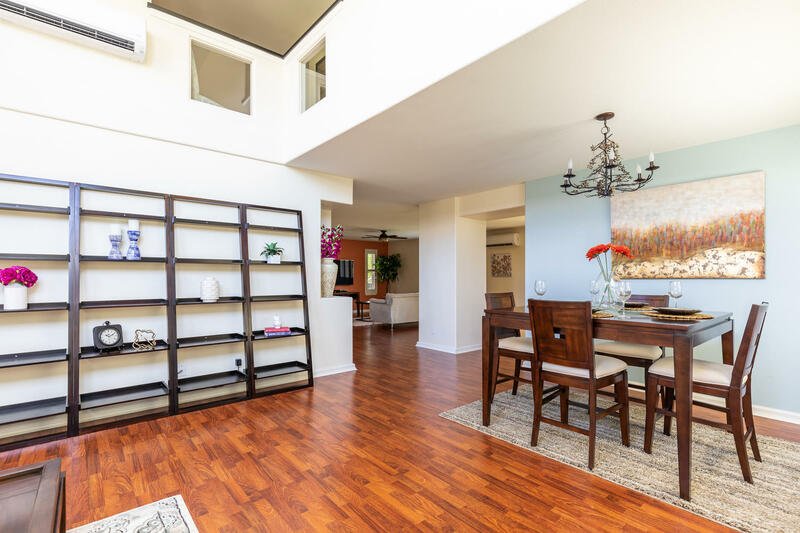 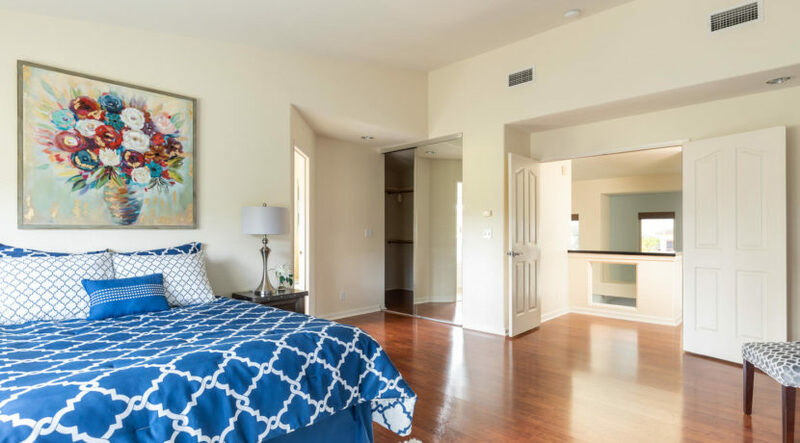 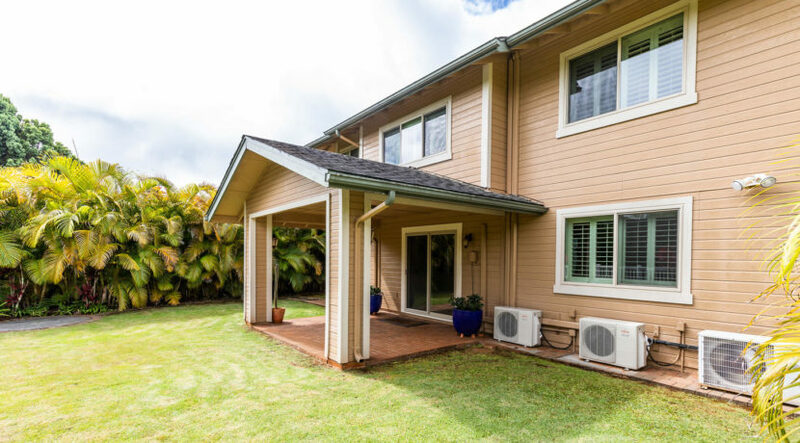 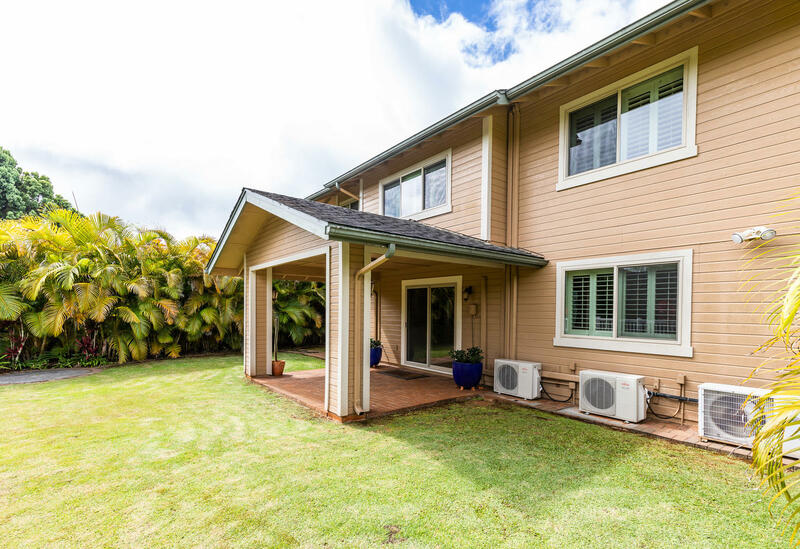 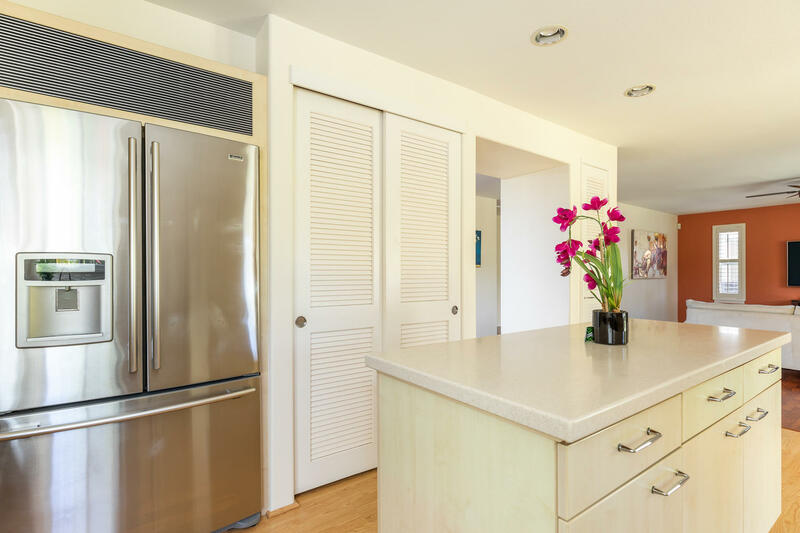 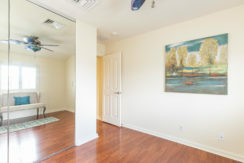 Aloha ‘aina and keep cool with your 20 OWNED PV panels and 2 solar water heater panels along with central air conditioning and three brand new split AC systems. 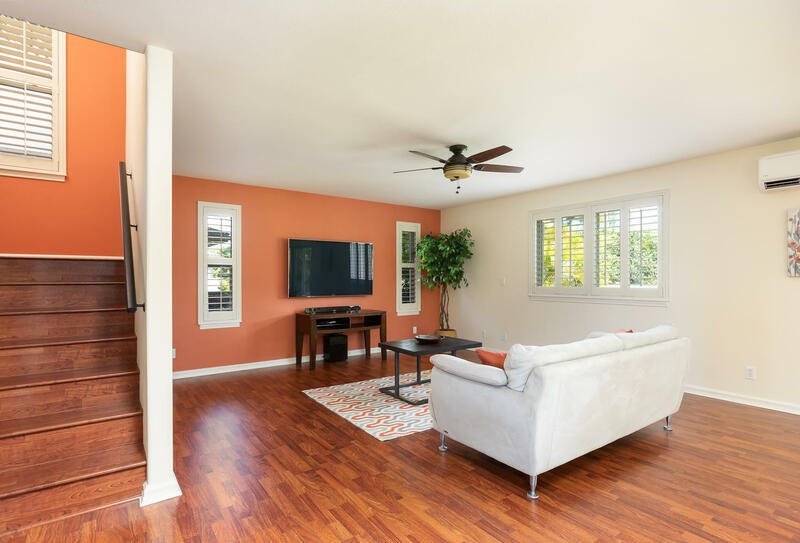 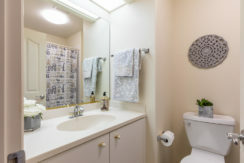 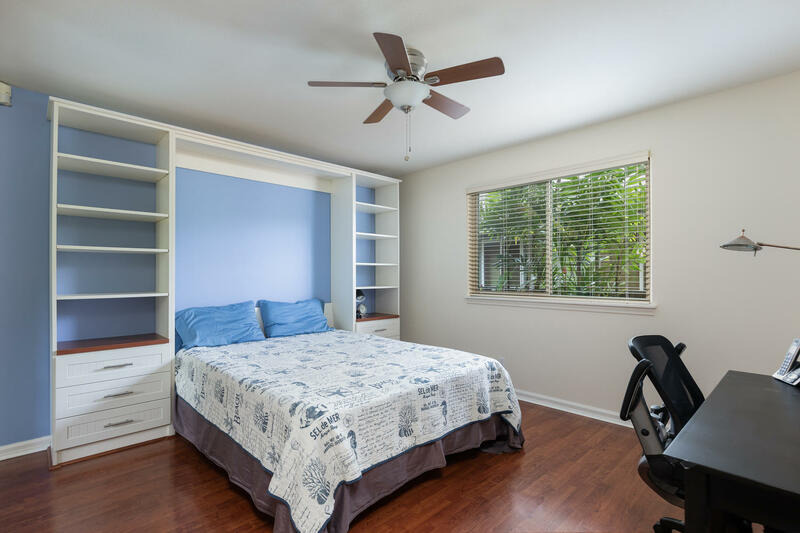 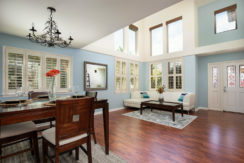 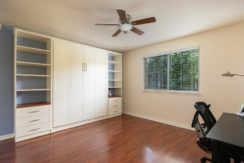 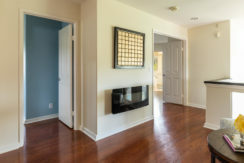 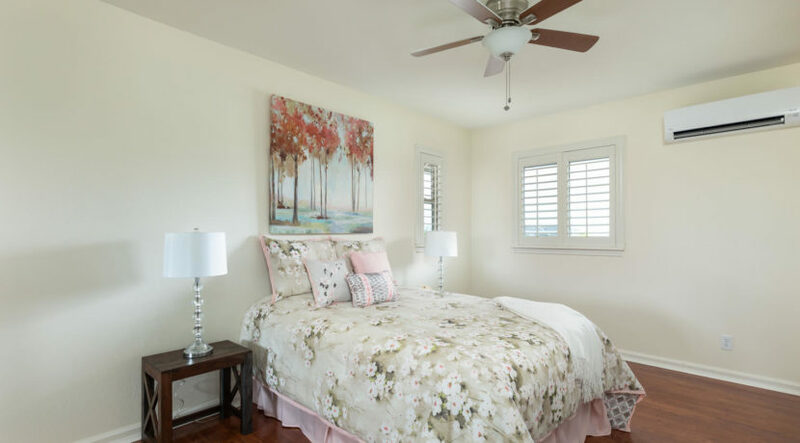 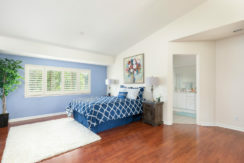 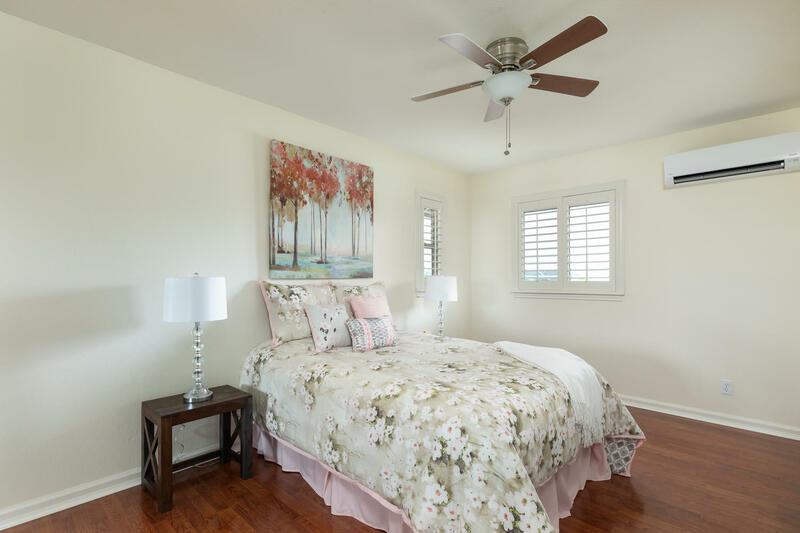 The entire home features beautiful and durable laminate flooring and custom plantation style shutters. 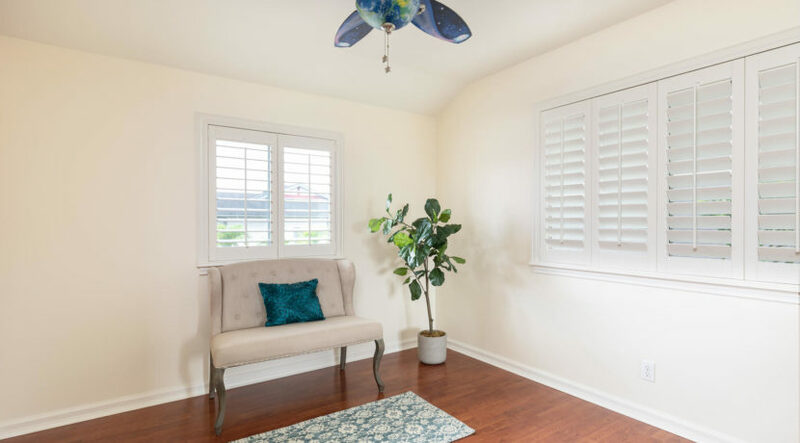 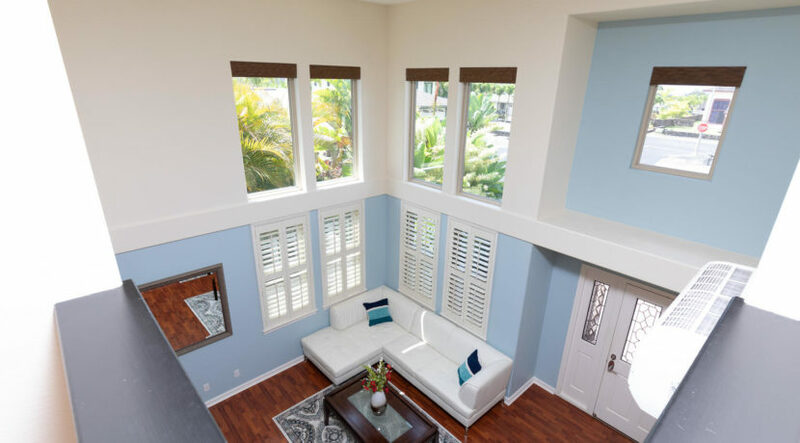 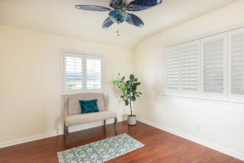 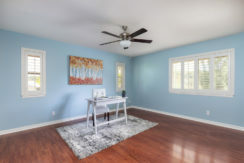 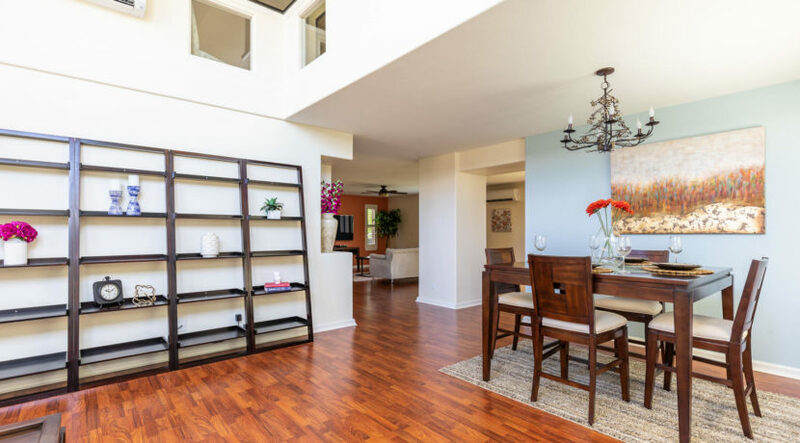 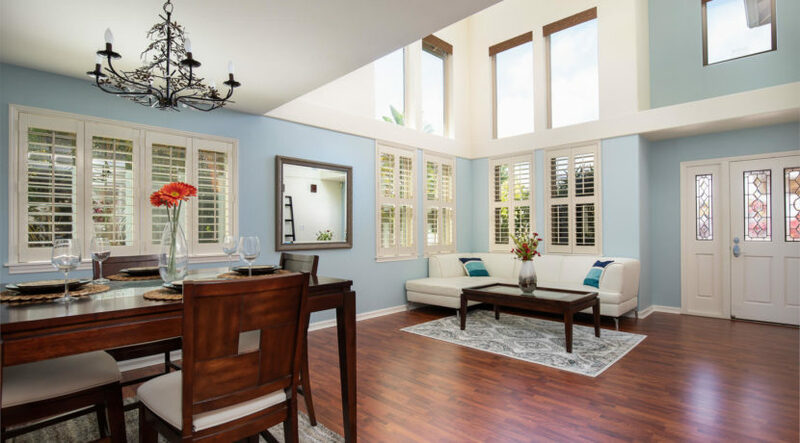 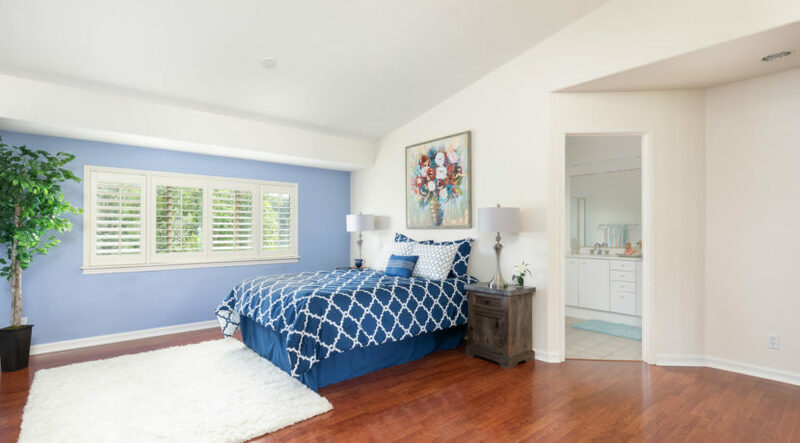 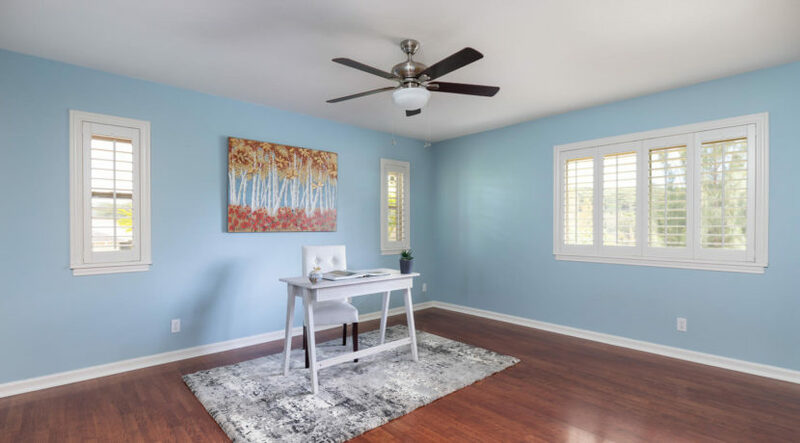 Upon entering you’ll enjoy a breathtaking great room that features a double high ceiling with electric shades & plantation shutters, letting in lots of natural light. 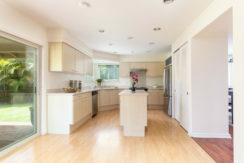 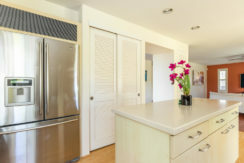 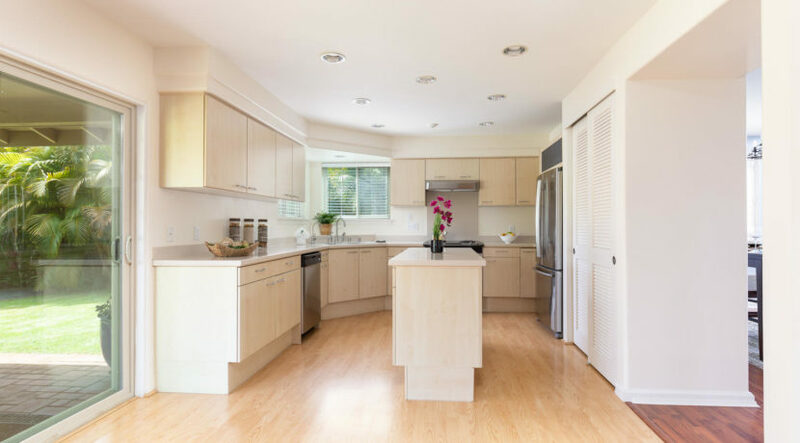 The large kitchen offers a new range and hood, lots of cabinets, additional storage in the kitchen island, and an extra wide passageway to connect the kitchen with the adjacent family room – perfect for entertaining guests and spending time with family. 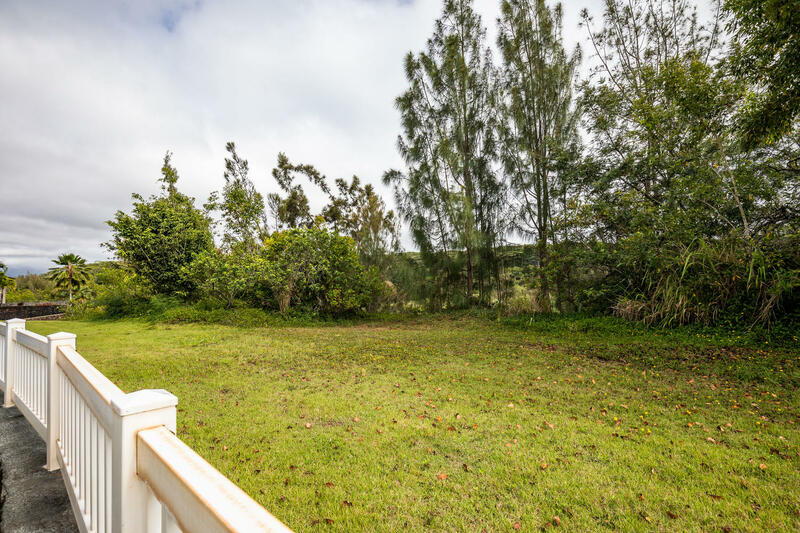 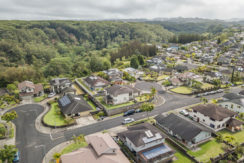 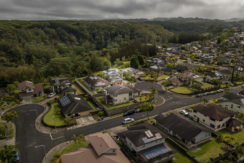 The kitchen also opens to the lanai and a meticulously maintained & landscaped backyard – all leading to the pristine conservation land at the back of your lot. 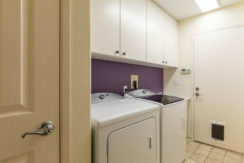 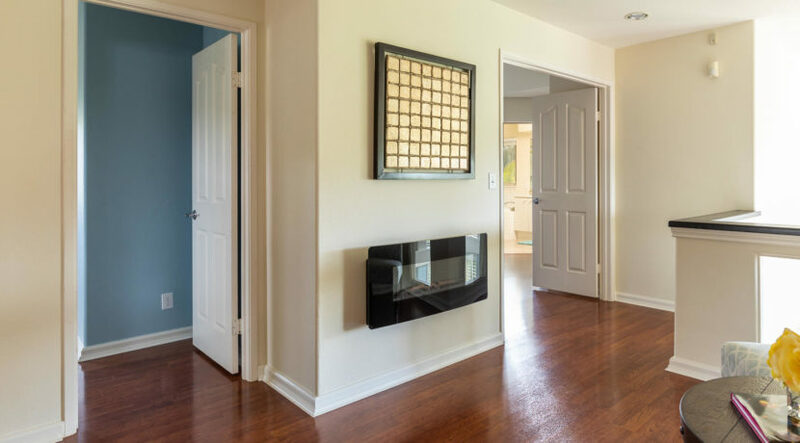 Also on the first floor is a full bathroom and the guest bedroom with a Murphy bed and lots of shelving. 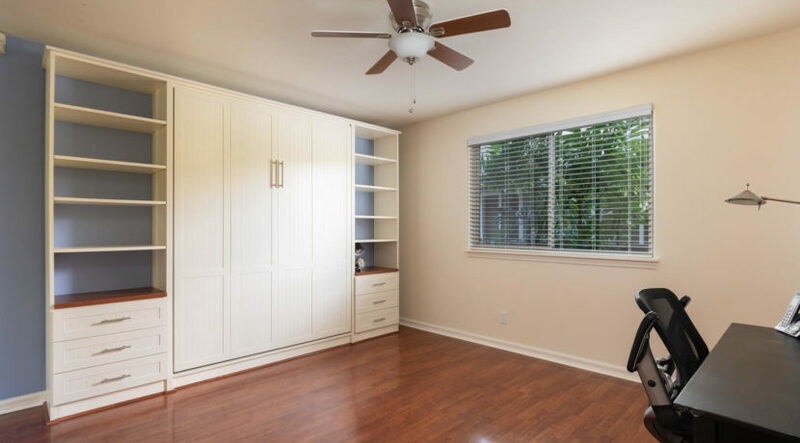 The other spacious bedrooms upstairs all come with lots of closet space, one has a beautiful built-in bench and shelves, and a double vanity bathroom. 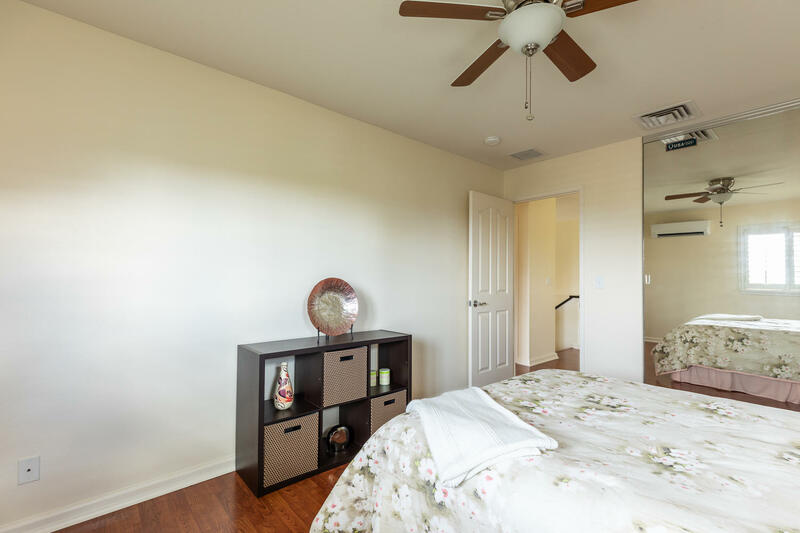 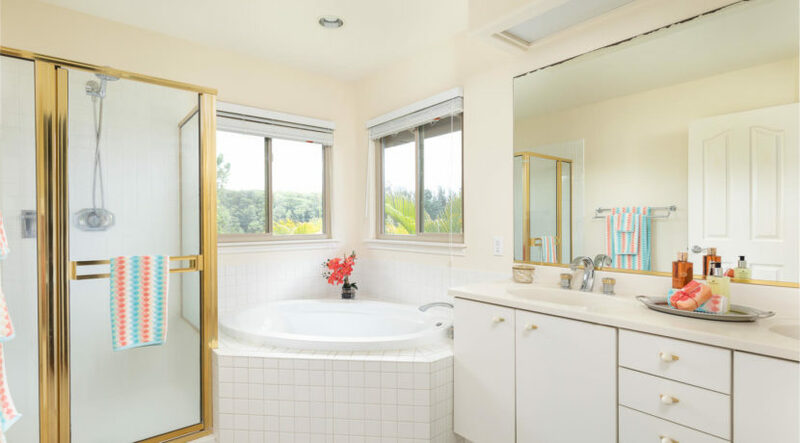 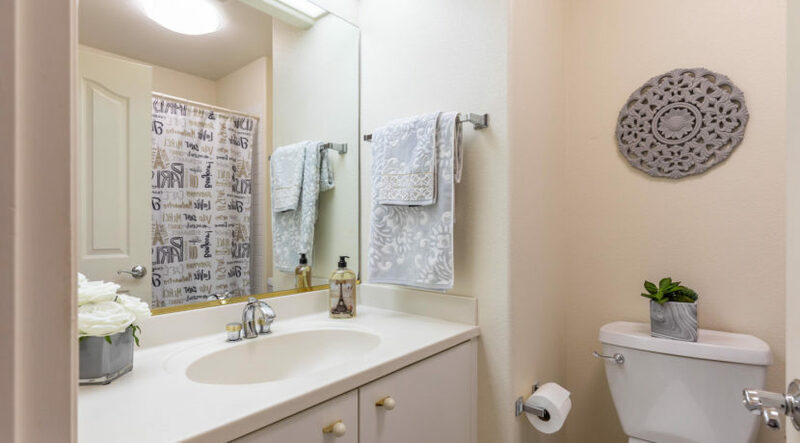 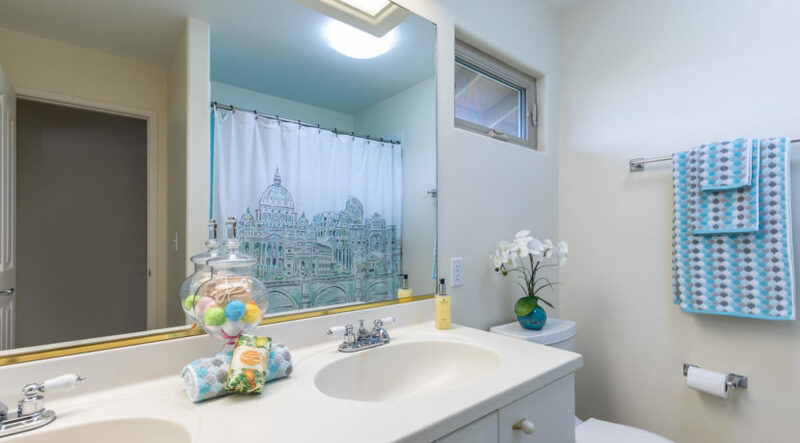 Your gorgeous master bedroom has a vaulted ceiling, large closet with built-in shelving, separate shower, soaking tub, and dual vanity. 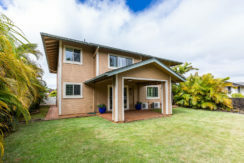 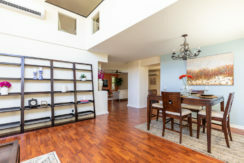 Don’t miss out on your chance to own this Hawai‘ian dream home!